The Celtic pronunciation question of “keltic” versus “seltic” is one of those “religious issues.” I’ve checked all the major English dictionaries, including my two personal favorites, the American Heritage Dictionary of The English Language (Unabridged, Fifth Edition) and the Oxford English Dictionary. All of the dictionaries agree; either pronunciation is acceptable, though “keltic” is preferred, and is usually listed first. There are some who argue that “keltic” is the “correct” pronunciation because both Irish and Welsh use the letter C to indicate the sound represented by the letter K in English. This is a spurious argument since the ancient Celts did not refer to themselves as “Celts.” The word Celt is derived from Keltoi, the name the Greeks gave the “barbarian” tribes along the Danube and Rhone rivers. The Romans borrowed the Greek name, but spelled it Celtae, and the word entered French in the form Celtes, from which English derives Celt. The argument over whether “selt” or “kelt“ is korrect correct is probably ultimately related to the word Celt entering English twice, once through French, and once, probably through the publications of German scholars, from the Greek Keltoi, hence “kelt.” (See the etymology and usage note in the American Heritage Dictionary . I prefer “keltic” as the Celtic pronunciation to refer to the Celtic languages and cultures, and so all of the English-speaking Medievalists and Celticists (that’s “kelticists”) I know. When I’m asked whether “keltic” or “seltic” is the correct Celtic pronunciation, I like to point out that by preferring “keltic” for the speakers of Celtic languages, we avoid confusing the speakers of an Indo-European language with professional basketball players (in Boston) or football players (in Glasgow). But, either pronunciation is technically correct; see your local dictionary. Great article; Short, descriptive, and to the point. Wrong. And it’s a basketball team. Nope, wrong. It’s both an American basketball team and a Scottish football team. 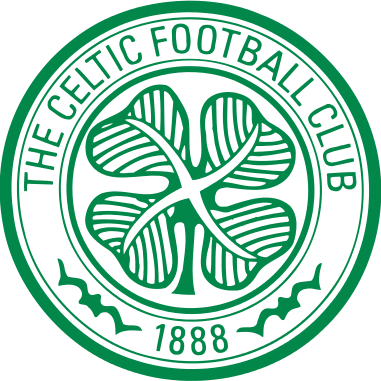 Furthermore, aside from those two team names with the soft ‘c’ pronunciation, everyone in Ireland and (to the best of my knowledge) Scotland pronounces Celtic with a hard ‘C’ (Keltic) in every other situation. Ever. ‘S’eltic is a football team*, and it was probably a football team long before it was a basketball team. So Cellphone is pronounced Kellphone? And Central is Kentral? And Cedar is Kedar?